We've already told you how to master Snapchat, and we've given you a wealth of tips on features you should use to up your game even further, so it's safe to say you're the envy/scorn of your friends at this point. But regardless of how much (or little) you use the app, one question reigns supreme: what the hell do those damn numbers under your username mean? That, my friends, is your Snapchat score. Allow me to explain. Firstly, how do you even view Snapchat scores? It's really, really simple. To view your own score, just swipe down from the camera screen; your score is the number that shows up next to your username, beneath your Snapcode. To view a friend's score, swipe right to the Chat screen, then right again on the friend in question, then tap the three-line icon in the top left of the screen -- their score will appear, like yours, next to their username. So what does this number even mean? According to Snapchat, your score is calculated by "a special equation combining the number of Snaps you've sent and received, Stories you've posted, and other factors." Of course, Snapchat doesn't reveal exactly what those "other factors" are, so we're left guessing. Is it how many people have viewed your Stories? How many people's Stories you've viewed? How many times you've uttered the words "Worcestershire sauce" in the past year? There's no telling. How can I increase my Snap score? The simplest way to understand the Snap score, given how much we don't actually know about it, is as a conglomeration of all your various interactions while using the app (except chats). Therefore, the more you use it, the higher your number will be. It sounds simple, because it IS simple! There are plenty of sites offering to increase your score by thousands of points with the click of a button, but these "hacks" are more likely to lead you down a rabbit hole of spam and identity theft than result in higher numbers. 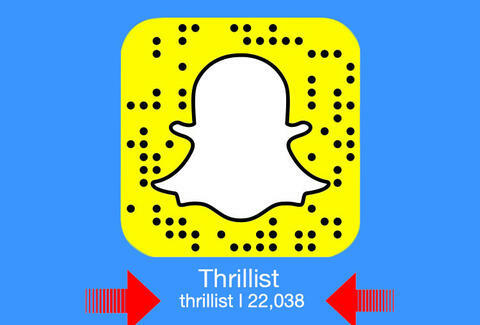 If you're dead-set on bumping up your numbers as quickly as possible, here's a semi-sketchy method that actually works: follow a bunch of celebrities on Snapchat, and send them a ton of snaps. Your score goes up regardless of whether the recipient opens them, so if you send Calvin Harris 1,000 snaps of your toaster oven each week, you'll be in the 10k club in no time. You'll also never be best friends with Calvin Harris, but is that such a bad thing? Of course, if you could care less about nebulous numerical values that may or may not reflect your social worth, feel free to ignore your score and use Snapchat in whatever way you see fit.